Who is St Anthony and what is a St Anthony prayer for lost things, prayer for lost items? Can we request St Anthony for help in finding items? How to Pray requesting for intercession? 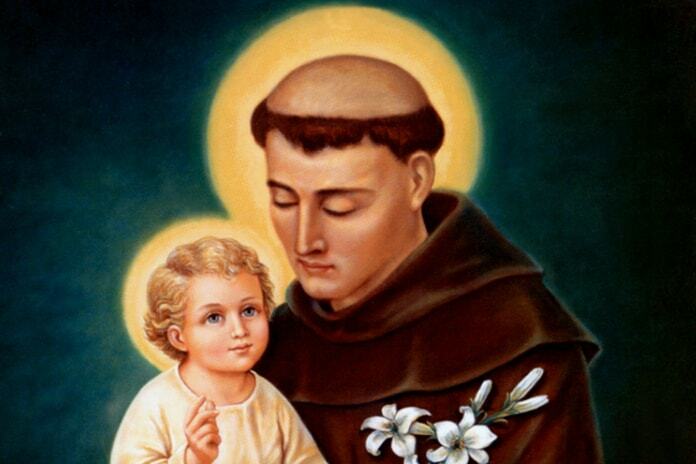 St Anthony (Saint Anthony of Padua) was a Catholic priest and friar of the Franciscan order, who lived in XIII century. He was well-known preacher and scripture expert, also St Anthony was devoted to the poor and the sick. After the death, he was canonized as the saint and proclaimed a Doctor of the Church. This title is given to the saints, who made a particularly important contribution to the doctrine or theology. St Anthony is the best known for being the patron saint for the recovery of lost things. Also he is known as a patron of the poor. St. Antony is so much more, than just a finder of lost items – preacher, teacher, servant. Saint Anthony, pray for us! He is often shown holding on the hands Child Jesus. The history says that St Anthony one night had a vision. His little cell suddenly filled up with light and Jesus appeared in the form of a small child. Somebody saw the light shining from the room and St Anthony holding and speaking with the infant. St Anthony asked that this vision be kept secret until his death. When can you pray to God asking St Anthony intercession? St Anthony prayer for lost things. You can pray to God and ask St Anthony intercession when you lost some items. It could be not only physical things, but lost people or spiritual goods as well. We can also address with St Anthony prayer asking him for help to travelers or pregnant women. There are many different prayers to St Anthony. Maybe the most popular and easy to memorize is this familiar prayer for lost items, where we call upon his assistance. “Dear St Anthony please come around, something is lost and it cannot be found”. How to Pray to St Anthony requesting for intercession? St Anthony‘s feast day is June 13th, but we can ask his help at any time we feel it is needed. St Anthony is the powerful intercessor. There are many shared stories about the power of St Anthony prayer, which helped for many people to get what they prayed. any lost matters in your life which are important to you. Most probably help you are asking won’t come to you the same minute or even day you prayed. God has His own plans for our lives events, so be patient and pray hard. And the most important thing – don’t to forget to say thanks to God and St Anthony when some of your requests are fulfilled.